The Minister of Citizenship, Immigration and International Trade, Hon. Michael Chan, invites you to participate in two of Ontario's volunteer recognition programs for 2015. The Ontario Medal for Young Volunteers - presented to young volunteers between the ages of 15 and 24 for their actions and dedication to improve the quality of life in their communities and beyond. Deadline for nominations is January 15th. The Ontario Volunteer Service Awards - in recognition of continuous years of service to a single community organization. Deadline for nominations is January 25th. Nomination forms and additional information are available on the Ministry of Citizenship, Immigration and International Trade website. You may also contact the Ontario Honours and Awards Secretariat by phone at 416-314-7526 or 1-877-832-8622; by TTY at 416-327-2391. 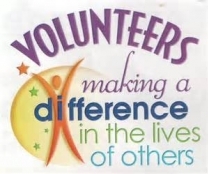 Please take this opportunity to nominate volunteers for the appropriate award program. By submitting a nomination, you can help ensure that volunteers receive the recognition they deserve.